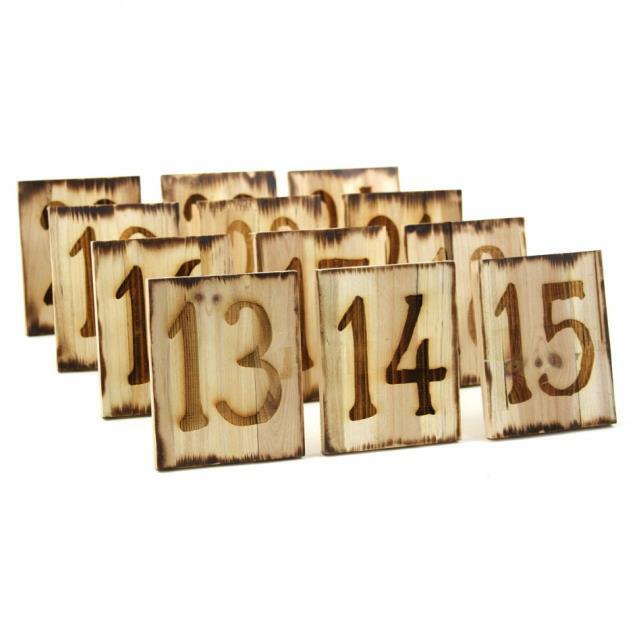 Natural square woodburned table numbers add a bit of rustic charm to your event. Numbers measure 6" high x 5" wide. Available in sets of 12, numbers 1 - 12, 13 - 24 and 25 - 36. * Please call us with any questions you may have about our woodburned table numbers 1 12 rentals/sales in State College, serving Central Pennsylvania.